Triangle Fire Systems, in addition to being specialists in the design, supply and installation of residential and domestic sprinkler systems are also installers of dry rising mains. 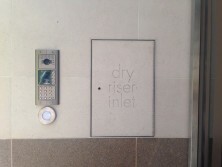 Over the last few years Triangle have fitted in excess of 500 outlet valves. 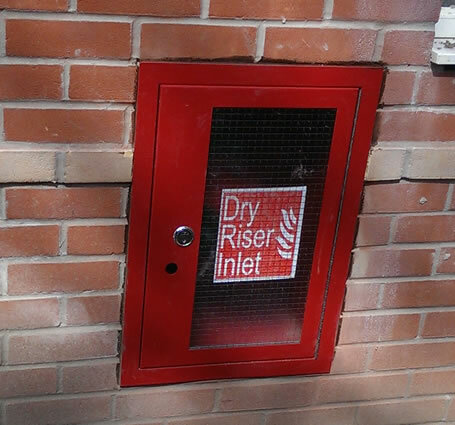 Dry risers are required in buildings which are between 18m and 50m high, and also low level buildings where there are restrictions for fire fighting operations. The pipes are empty and only filled with water by fire fighters connecting the pump outlet from one of their appliances to the dry riser inlet. 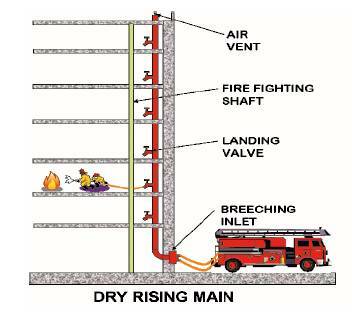 Water is drawn from the nearest public fire hydrant and this is pressurised by the fire pump to provide water at the correct flow and pressure at the relevant floor level. 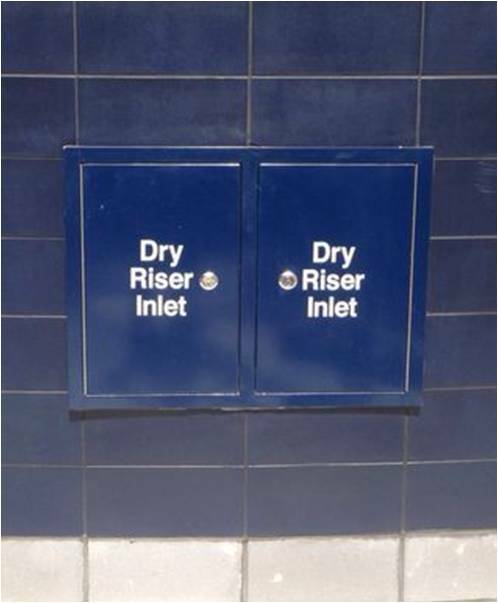 Due to an increase in demand for dry rising mains to be installed underground from inlet point to riser Triangle have recently been trained in and carried out our first electro fusion installations. This type of installation uses polythene pipe with electrofusion connections as an alternative to heavy duty galvanised pipe. 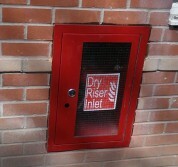 Triangle can also provide bespoke inlet boxes to suit your requirements. Below are images from two Barratt Homes developments, The Courthouse and Queensland Terrace, where bespoke inlet boxes were requested by the client.